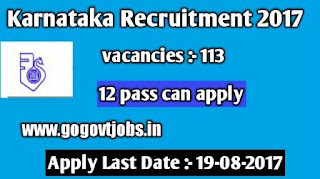 You Looking for govt jobs here you have Great opportunity for you Karnataka State Tourism Development Corporation going to recruit fresher candidates in India for Second Division Account Assistant, Assistant Cook Post. 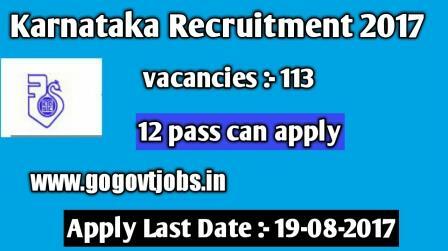 Total Number of vacancies are Karnataka State Tourism Development Corporation released 113 Posts. Only those candidates are eligible who have passed Graduate in Commerce from AICTE/UGC recognized university&Minimum PUC/10+2 Pass and Must have diploma in Hotel Management or Culinary Diploma from Food Craft Institute. Age Criteria :- candidates age limit should to be possess minimum age 18- 35 years. The candidates who meet all eligible criteria related to these 12th pass jobs post. Selection on the basic of their your performance round of selection area as follows. Selection will held on Interview.